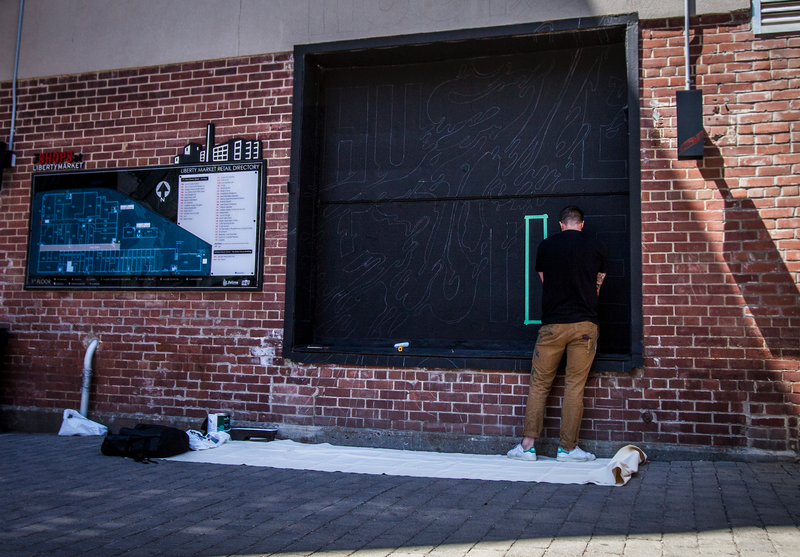 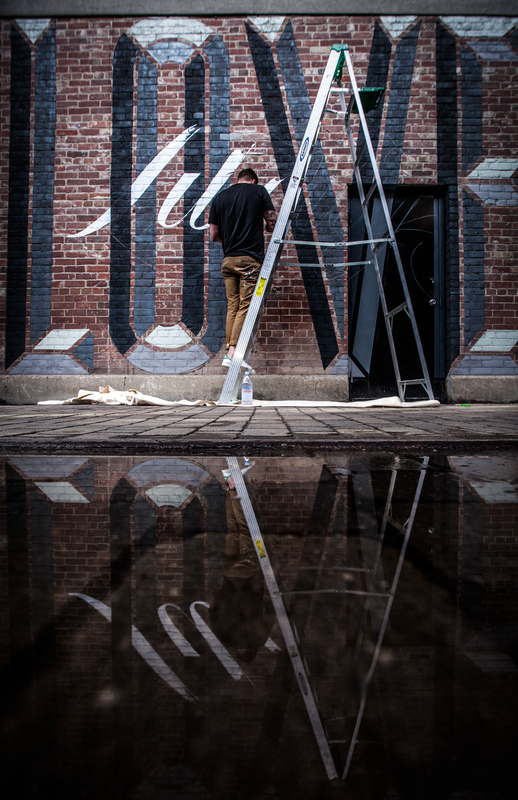 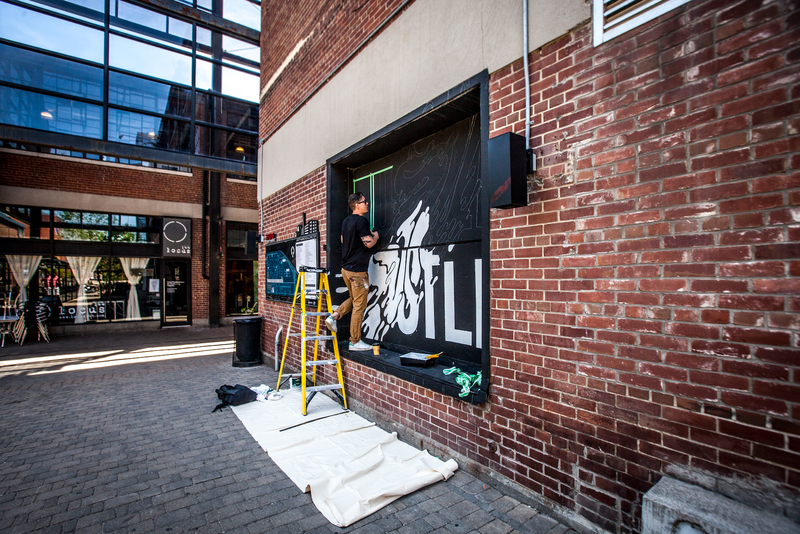 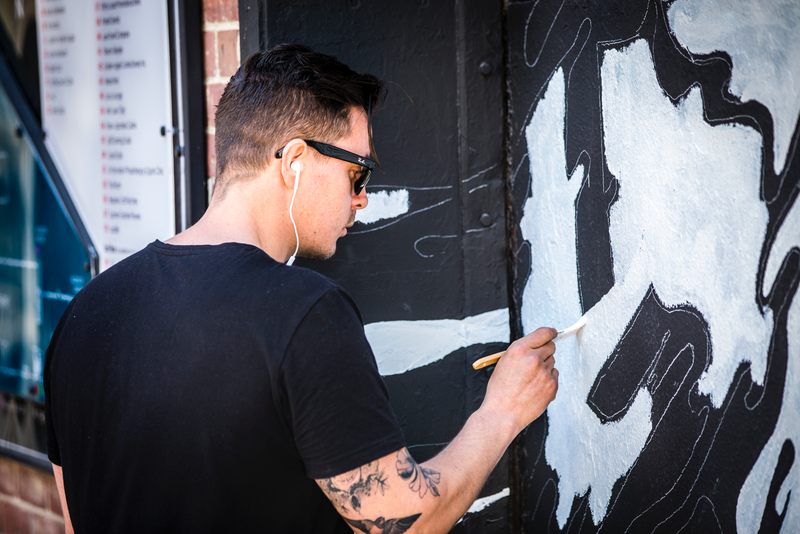 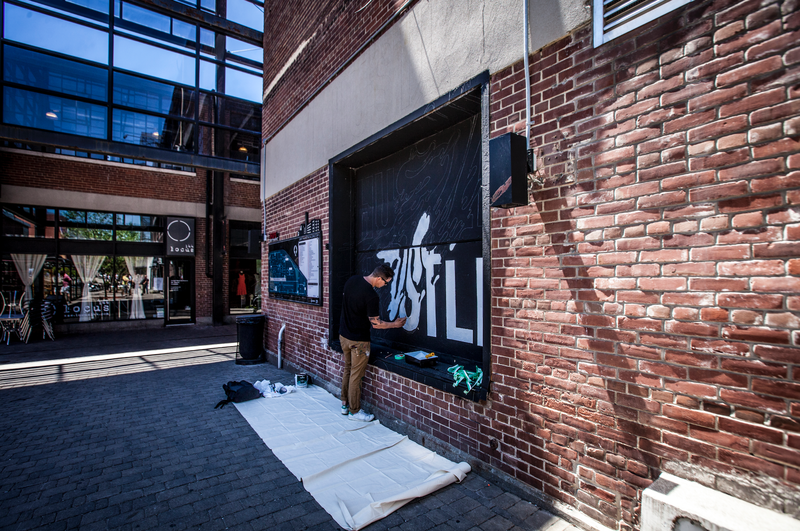 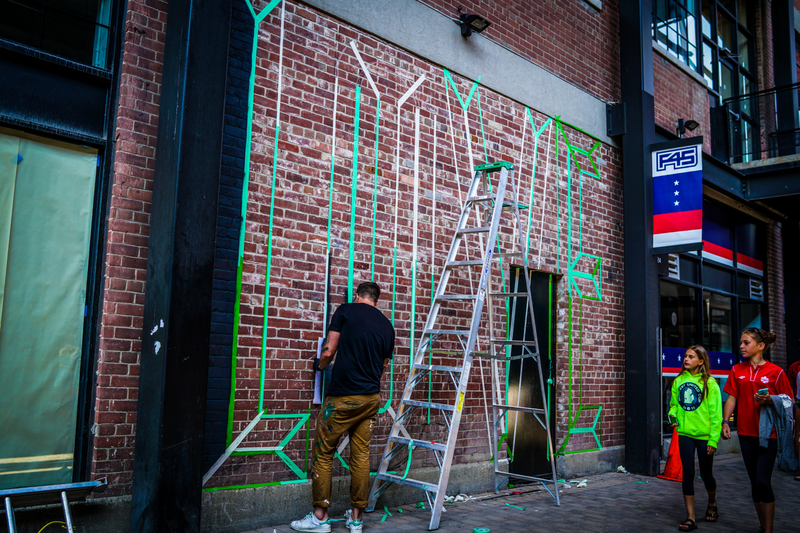 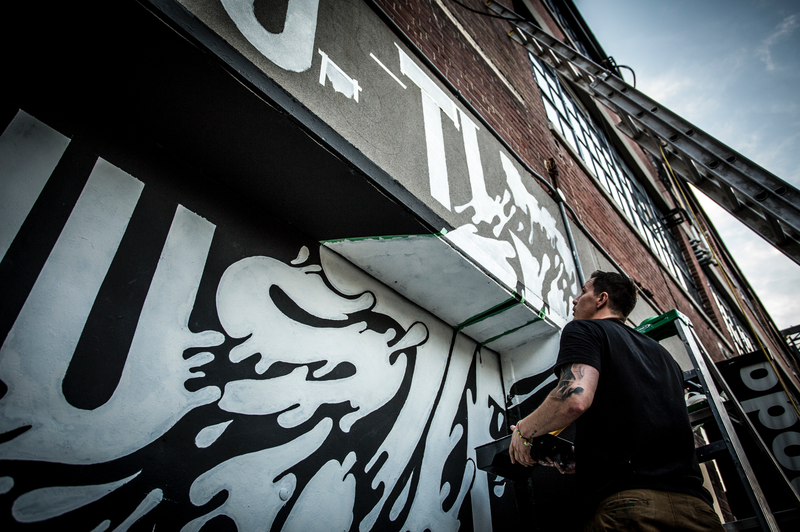 Lifetime Development Inc. presented Ben Johnston with the opportunity to create and paint two murals on the face of the Liberty Market Building, a hallmark structure in Toronto’s Liberty Village. 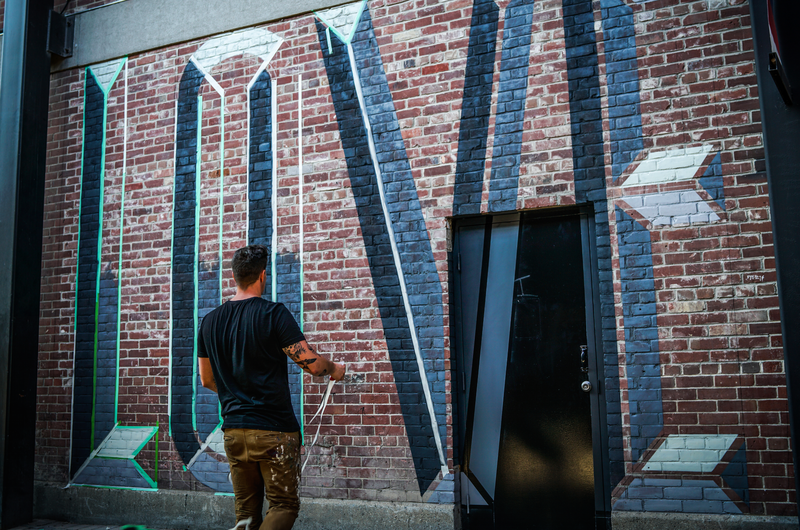 From concept to creation, the verbiage and aesthetic of each piece was selected to pay homage to the urban revitalization of this formerly industrial hub, turned bustling community. 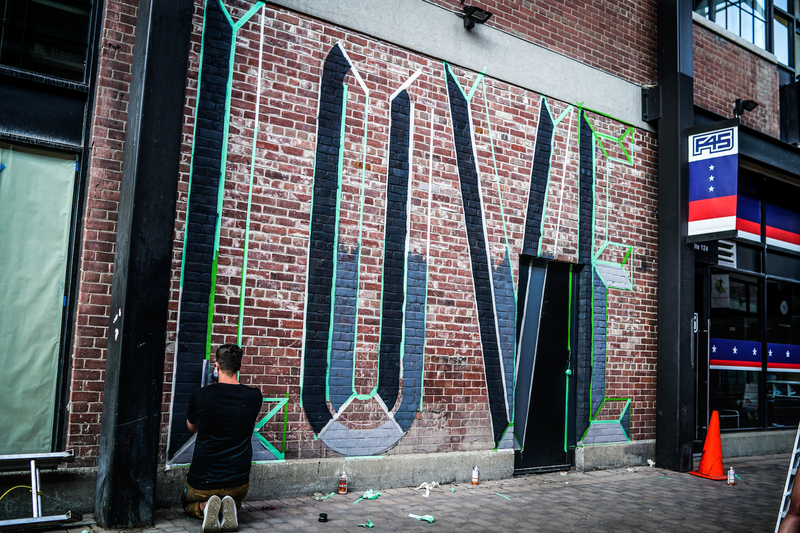 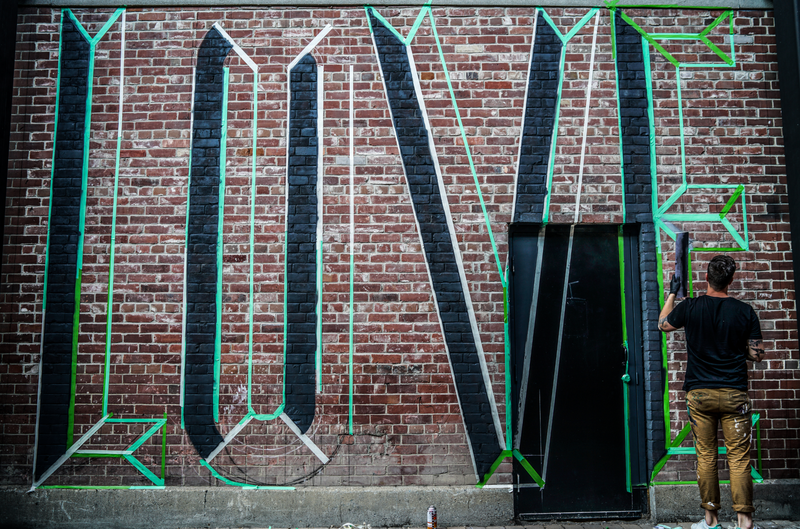 Each mural was designed to both stand-alone and work in conjunction with the other, using bold, impactful typography intended to bring the sentiments to life. 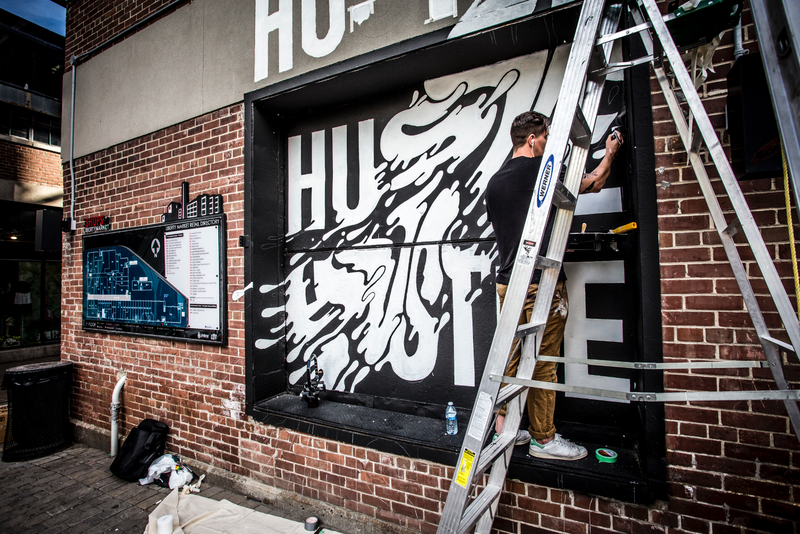 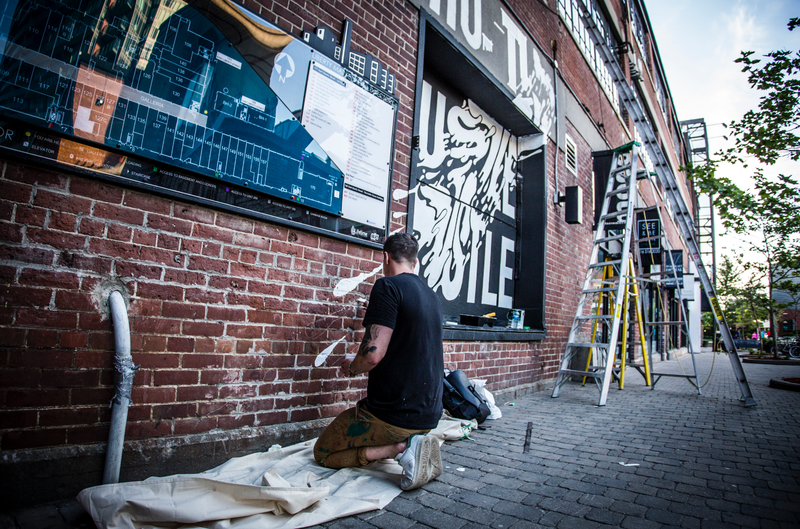 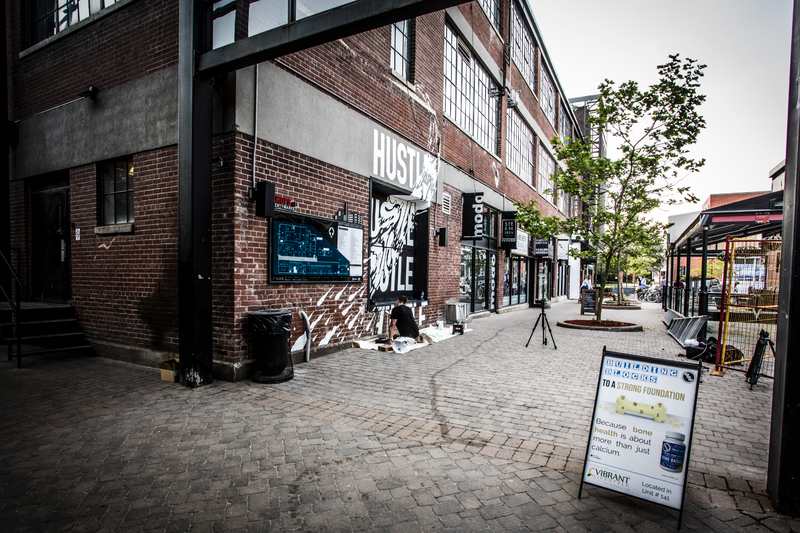 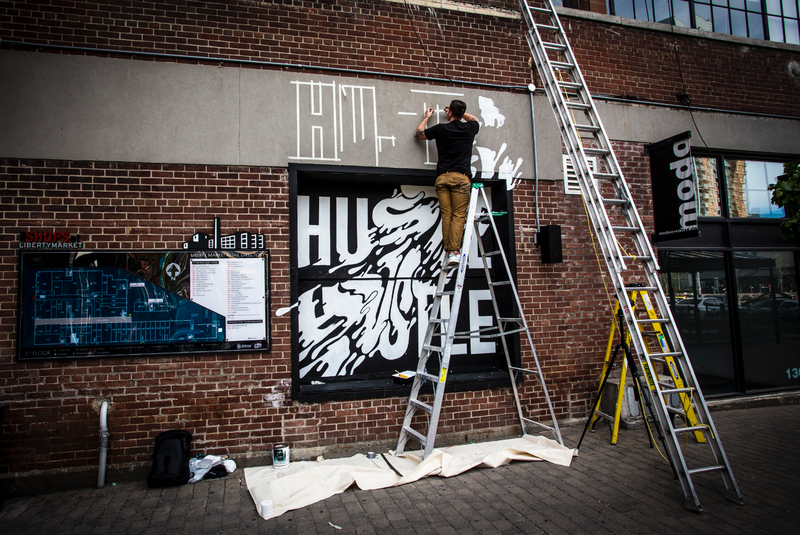 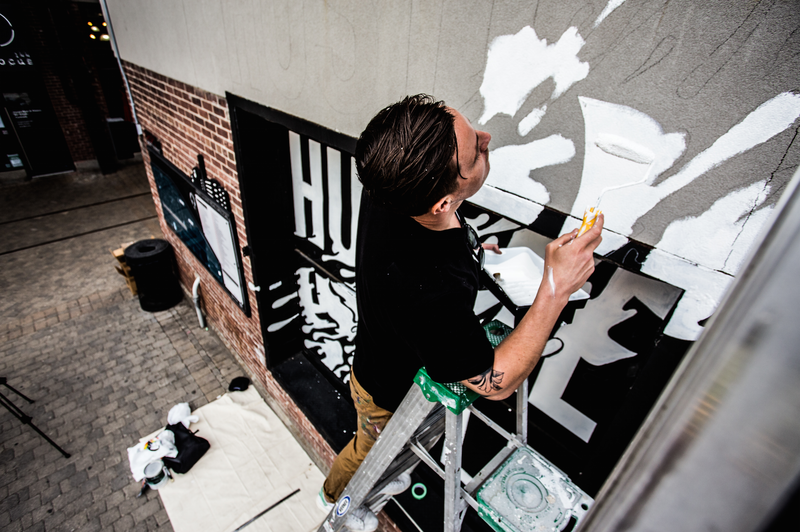 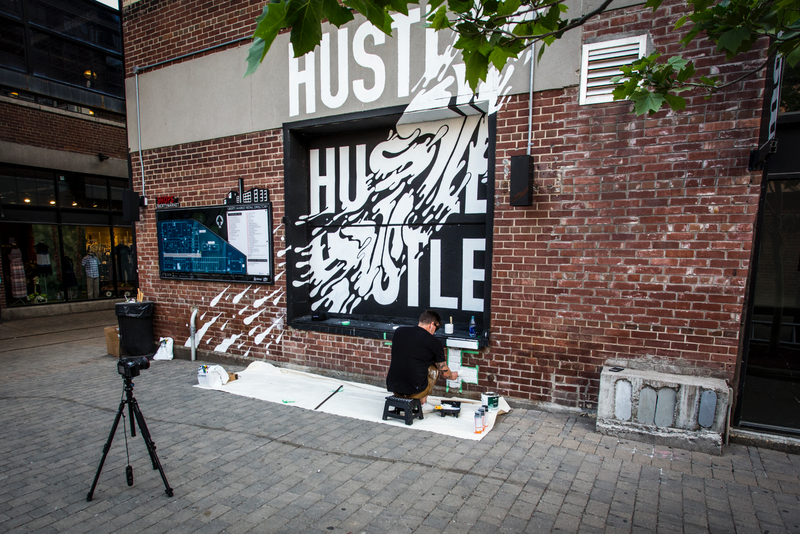 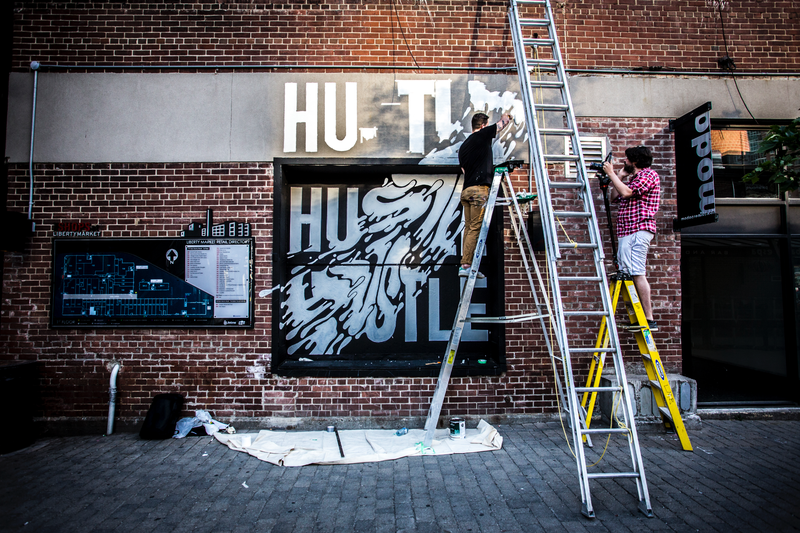 “Hustle” speaks to the entrepreneurial spirit and vibrancy of those who work and play in Liberty Village. 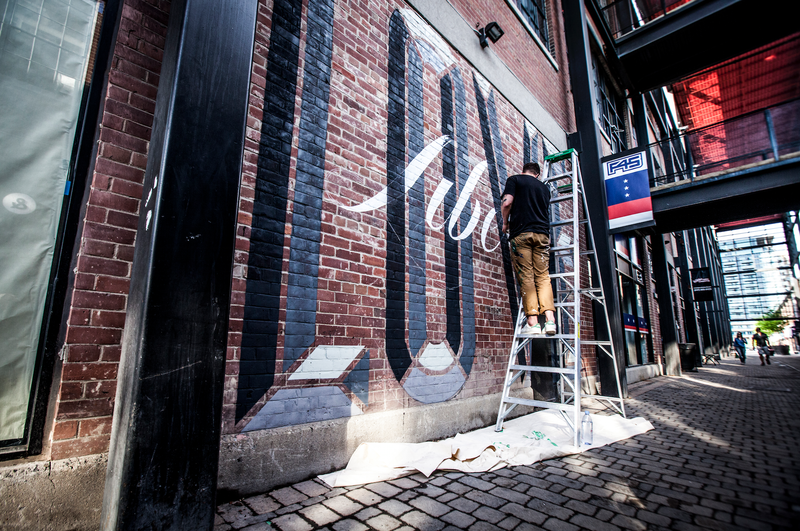 While “Love Liberty” captures the magnetism, history and resounding sense of pride that has grown within the community throughout it’s development.